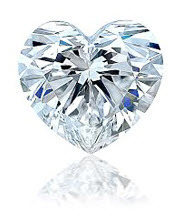 Every woman deserves a heart shape diamond ring that symbolizes love and devotion. Let the love of your life experience a fairytale by giving her a diamond engagement ring. Imagine her beautiful smile while putting the ring on her finger as she says yes. A romantic way to showcase and prove your profound love and eternal affection.